Gold sedan, black on the inside with air conditioning and keyless go. 18″ wheels. GCC spec 318 from 2016 with a 4 cylinder engine. Black sedan with beige interior. It has leather seats and cruise control. 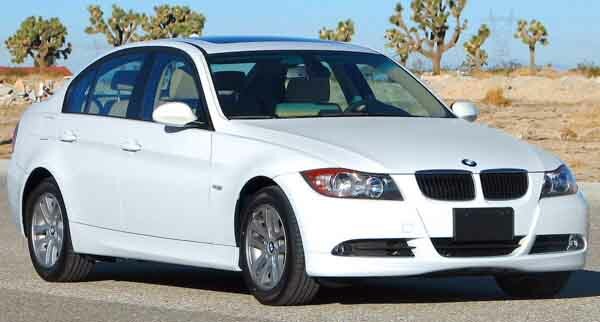 BMW 318 for AED 121,000 with many features, including USB, xenon headlights, leather seats. Grey/Silver with beige interior. Automatic BMW 316 with 16 inch wheels, bluetooth system, AUX audio in, black on the outside, brown interior. GCC spec 335 from 2012 for AED 61,500 with a 6 cylinder engine. White sedan with red interior. It has ABS and premium paint. Automatic GCC spec BMW 335 with 18 inch wheels, air conditioning, cruise control, red interior, white exterior. Automatic BMW 320 with 14 inch wheels, air conditioning, tuner/radio, grey interior, red exterior. BMW M3 grey/silver sedan, black on the inside with parking sensor rear and sport package. 19″ wheels. Opportunity! A 2014 grey/silver BMW 328 d XDRIVE now available at a reduced price. White 2015 sedan. Black interior. It features ABS, 16 inch wheels and power windows. 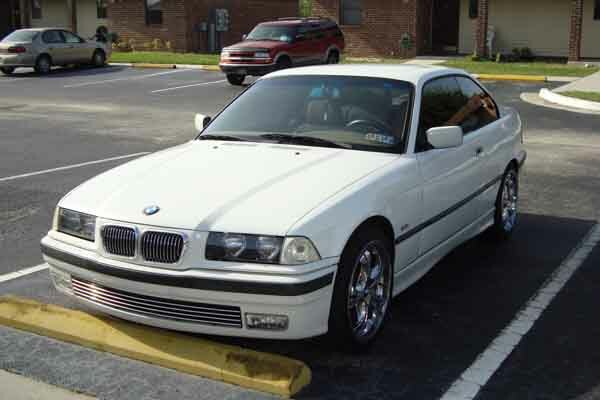 Automatic BMW 325 with 17 inch wheels, tuner/radio, parking assist, black on the outside, black interior. Automatic 2017 BMW 330 price AED 89,000, with 19 inch wheels, air conditioning, CD player, red interior, black exterior. Imported spec. 2018 BMW 320, price AED 131,000, black sedan, beige on the inside with ABS and alarm. 18″ wheels. Automatic 2017 BMW 320 with 18 inch wheels, navigation system, power locks, red interior, blue exterior. Imported spec. Automatic, 18 inch wheels, apple CarPlay, alarm, beige interior, white exterior. 2018 BMW 320 with alarm, ABS, fog lights. It has beige interior and is White. White sedan, beige on the inside with CD player and power locks. 18″ wheels. BMW 320 for AED 131,000 with many features, including air conditioning, power windows, CD player. Grey/Silver with black interior. BMW 320 grey/silver sedan, black on the inside with DVD-player and power locks. 18″ wheels. GCC spec 2018 BMW 320, black sedan with beige interior. It features climate control, 18 inch wheels and bluetooth system. GCC spec 320 from 2018 with a 4 cylinder engine. Grey/Silver sedan with beige interior. It has parking sensor front and power windows. GCC spec 2018 BMW 320, gold sedan with beige interior. It features CD player, 16 inch wheels and USB. GCC spec white sedan, beige interior with ABS, parking sensor front and a 4 cylinder engine. AED 140,000 for this GCC spec, grey/silver 4 cylinder sedan with black interior. It has bluetooth system and DVD-player. Reduced price! Grey/Silver BMW 320 i from 2003 with black interior. 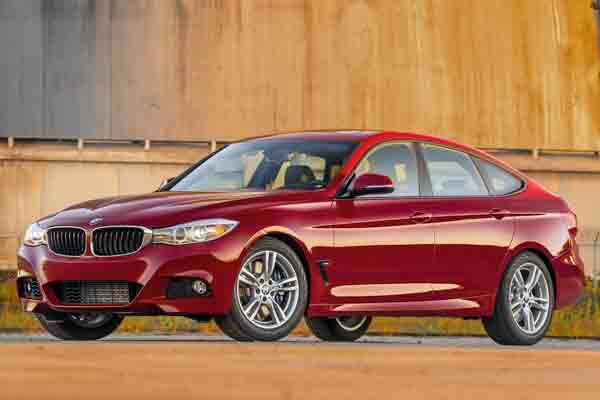 Ron - For entry-level cars, 3 series sedans are great cars. I bought a second hand import 325i from a dealer here in Dubai. Clean car, no major problems and the 4-cylinder has got some kick to it. Pros: Good fuel economy with four cylinders. Cons: Could have more style. Asif - My pre owned 335i is a fantastic sedan. All my friends want to ride in it everywhere we go because of its power and supreme build quality. Excellent car I would recommend to everybody to buy this car. Pros: Build quality, gearbox and power. Karam - Got my used 316i for a good price months ago, nice fuel economy and the interior is very good except the rear. It can be a little cramped. Pros: Fuel economy and power. 3 series cars are entry-level according to BMW. However, they outpace the Toyota Camry and Nissan Altima by a long-shot regarding standard models. If an inline 4-cylinder motor is not to your liking but you want a three series, you can buy one equipped with a 6 or 8 cylinder engine. 3 series have a multitude of body styles; sedan, cabriolet, coupe and station wagon. Plenty of UAE residents are on the lookout for 3 series, and they have good resale value too. Export or GCC people will buy a 3 Series. The M3, first equipped with a V10 then a V8 and now a V6, it's a force to be reckoned with. Appearing on the market in 1975, the 3 series vehicles are BMW’s best selling model with millions of units sold around the world; it has won numerous awards throughout its tenure. Spawning many body shapes over the years, there is something for everyone to choose from in the 3 series range, and even though it is a base-level German sedan you can always expect the highest quality in terms of engine performance and specifications. Rivals on the Road include the Audi A4, Jaguar XF and Lexus IS series. Entering its fourth generation, the iconic sedan continued to sell well. Standard features include fabric seats, steel rims and a few power accessories such as the windows. Higher trim levels benefitted from leather upholstery, navigation system, power seats, alloy rims and a sunroof. Coupe models were badged with similar numbers and had Ci tacked on, i.e., 318ci and 330 Ci. Options remained the same with the only two differences; the rear doors. Mighty M3 models also returned with tuned version of the stock engine. M3’s came in all three forms as well and had on optional CSL package which added more sportiness. Models in this lineup are either powered by a single four cylinder 2.0-litre petrol engine in basic models. Higher models receive a host of 6-cylinder motors with various displacements including 2.2, 2.5, 2.8. 3.0 and 3.2 litres. Most powered the rear wheels with the exception of the 3.0-litre engine that could be equipped with an all-wheel drivetrain. A facelifted 3 series model was introduced in 2002 for the 318i, 320i, 323i and 328i. The M3 did not receive the update. Slightly revised for the next generation of entry-level luxury sedans, mainly the exterior was redesigned with minor touch ups to the interior. The majority of standard specifications remained the same with a fair few becoming standard options. All models and body styles stayed onboard, and the 330 xi was introduced. All models come stock with multiple airbags, stability control, alloy rims and ABS. Few engine displacements were dropped, and a V8 4.0-litre petrol engine was added to the lineup to power the M3. The gearbox was enhanced once again; all models came with a 6-speed manual or automatic whereas the M3 can be equipped with a 7-speed auto/manual gearbox. Refreshed again, the front end is completely redesigned with various other bits of the body work smoothed out for a sleeker design. Power plants are upgraded to, pumping out more horsepower and giving better fuel economy. All models came standard with keyless entry, fabric interior with the option to upgrade to leather, electric front seats and a CD stereo. Optional extras include a sunroof, enhanced iDrive computer system, a selection of alloy rim sizes and brighter headlights. 6-speed automatic transmissions stayed onboard for another few years as did all the engine options. One new engine is added; 1.6-litre 4-cylinder that powers entry level cars. M3 models retained the V8 motor paired to either a 6-speed manual or 7-speed auto/manual. After three years a new look was inevitable, as the played around with the looks, they added another 93 MM to the wheelbase adding more space for rear passengers. BMW also used lighter materials during construction and reduced overall weight by 40 kilos. With 5 series now sharing interior options with the entry level 3 series; brake energy regeneration, parking assistance, heads-up display, iDrive computer, cameras and dynamic damper control all came standard on certain trims and optional extras on others. New trim levels appeared; Sport Line, Luxury Line and Modern Line. An M Sport package (or M kit) is available adding sports suspension, unique trim and small trim changes. 2013 saw the introduction of the 328i Gran Turismo and other GT models joined into the already lucrative lineup. These models added more space for rear passengers, boot space and four or five seat setup. 6-speed auto gearboxes were dropped in favour of 8-speed ones instead for regular models. M3 models stuck with the same engines and transmissions. Engines and outputs remained identical. In 2014, BMW M3 removed the V8 option and replaced it with a twin turbo V6 motor instead.